And that feeling stuck with me ever since, not wanting to sully the reputation this movie has had. I’ve seen the sequels of course, and thought they were fine. I don’t know how they hold up, but I’m very pleased to say that so many years later, the original Matrix movie still holds up remarkably well. What a wonderful thing it is when our childhood memories don’t fail us. This is a must-watch for everyone of every age. It’s interesting picking apart what exactly makes the Matrix such a great movie, but it probably has to do with the fact that it sticks to the golden rule of science fiction: make the plot simple, and build a world around it. And the Matrix’s world is so large that it’s literally two worlds packed into one. To consider such concepts as a teenager does wonders for an expanding mind. So it only makes sense that this impactful movie would get the 4K treatment and to have it be in such a loaded package. One thing to keep in mind is that this release of the Matrix is actual 4K, meaning it was shot on 35mm and transferred from a 4K master supervised by Bill Pope himself. And it’s loaded with extras, including multiple audio commentary tracks including one from Cornell West, critics, cast, crew, and composers, behind the scenes, a revisiting of the trilogy, and much more. For such a techy movie it’s great to see its home release be just as techy and nerd out to its audience. What a package. 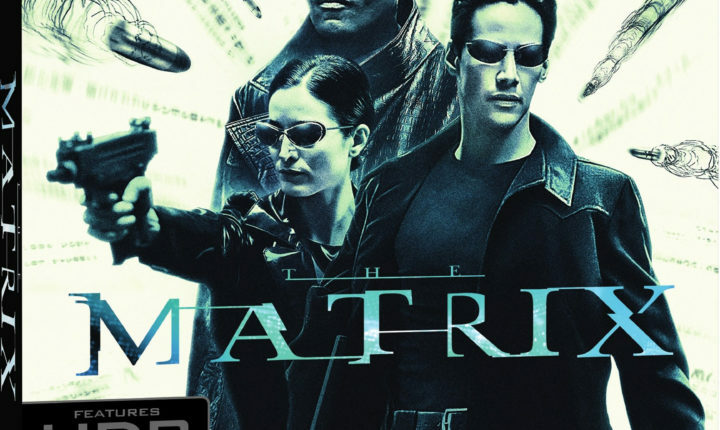 This is THE definitive release of the Matrix.